DYNAMOS coach Lloyd Chigowe says he has assembled a competitive squad ahead of the new season. 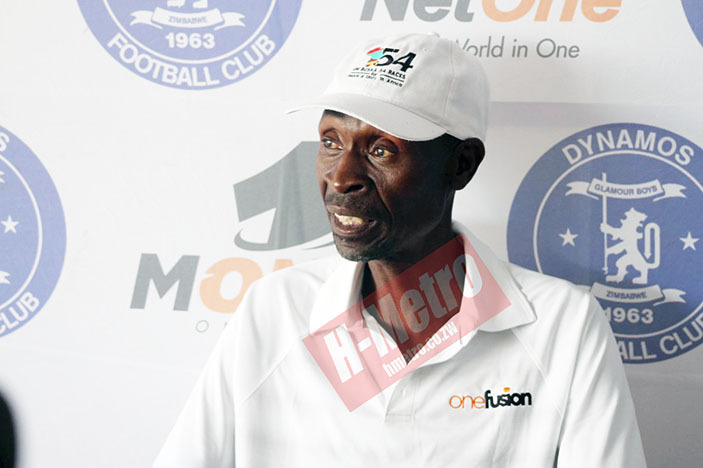 Dynamos had trials last week and MaBlanyo says he is almost done with the team selection. The club lost a number of players which includes Ocean Mushure, Peace Makaha, Marshall Machazane, Obey Mwerahari and Panashe Mtasa just to mention a few. “This year you must expect a competitive Dynamos. We are ready to compete. “We have replacements for all those players. We are early done with our preparations. “I can’t tell the names of the players we have signed yet because the club decided on making an official statement. Gwekwerere was introduced,” said Chigowe. “This is the same scenario that we are in now. “And it can be replicated like what was done that time. Yes we lost players who were with the team for a long time. We will miss them and their services but we can replace them. The DeMbare gaffer however, gave credit to his former players for a job well done. “In my personal view and experience as a coach, it was an honour working with such players. “They fought like lions and managed the team to survive relegation. They made sure that they gave their all in fighting for us to survive relegation. “I salute them for the job they did for the team. “We will miss them and wishes them the best as they begin their journeys elsewhere,” he said.